First I want to thank you for making the launch of my first book “Quarter Turns-Small Shifts, Big Impact” such a resounding success last week. We made it all the way up to #6 on Amazon in our category just edging out Donald Trump who came in at #7- How’s that for a great day! So once again thank you. As I often do with my coaching clients after a big event such as this, I’m asking myself the same question that I would ask them- What did I learn by going through this process and how will I apply these lessons in the future? When I first started writing the book, initially I thought I would just put as many ideas out there as I could, and the book would begin to craft itself. I had a loose idea of what I wanted to say, but there was really no plan and no compass points to let me know if I was heading in the right direction or if I had fallen way off track. Because I didn’t have the outcomes pre-determined I found myself meandering around my main message and spending a lot of time and energy on work that would ultimately not make the cut. For my next project, I will have my outcomes clearly defined and outlined prior digging into the work of creating the new content. I may ultimately change course as the project begins to take form, but if I do it will be intentional and not a result of trial and error. One of my coaching clients once said that after they put together their plan for a particular project, she intentionally builds in a few off-ramps where the team can step away from the project. The team will actually stop everything to look at what they are doing and at that moment decide if they are on track. What are the current challenges and obstacles? Are they still committed to the same outcomes as when they started? Do they have the resources available to maintain it? Is the timetable they have laid out for the project is still relevant and doable? I love the visual simplicity of the statement-Build an off-ramp. So many times in the middle of our hectic work-life we jump on the treadmill and grind out the days and weeks, only to realize that we have been working on the wrong things at the wrong times. While I realize it seems counter-intuitive, sometimes it’s important to step away from the work so that you can step back into it with fresh eyes, a new perspective and renewed energy. I realize this last one sounds very basic, but during my quest to complete my book, I often times wouldn’t ask for or use the experts available to me to help with edits, looks for gaps in content, or decide if the message was still on target. Usually by the time I got them involved it was too late to let them use their talent and knowledge to really have an impact. One thing I’ve learned about successful people over the years, is that none of them did it all by themselves. They all had a legion of smart, motivated and highly skilled teams surrounding them in their pursuit of success. Just because I coach that same lesson to my clients, doesn’t mean that I can’t fall into that trap of feeling as though I have to do it all by myself. These are just a few of the Quarter Turns that I’ve been thinking about as I review the huge accomplishment achieved last week. 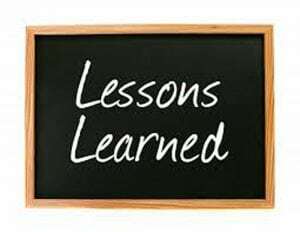 I can’t wait to share more of those lessons with you in the coming months as we close out 2015. That’s right, I said it, only 12 more weeks until we close the book on this year. My goal is to help you make the most of them! Great insights Tim! I also read somewhere when writing a book to list the chapters/topics you want to cover first to help then narrow the subjects and content. The chapters do not have to be long either. I purchased the “physical” book, and not the electronic version since I want to write notes and reference the book. I have started it, and knowing you will enjoy it and can hear your voice telling the story. Great hearing from you-Let me know what you think!